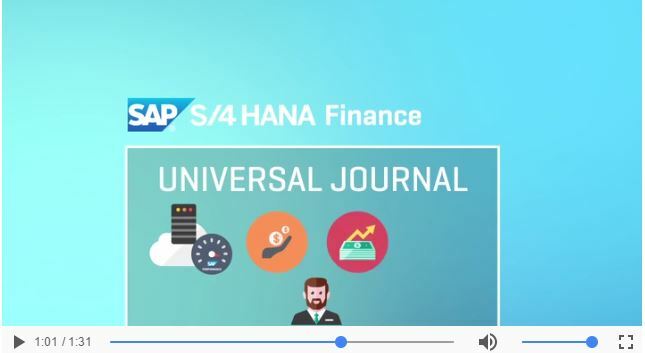 What Makes the Universal Journal UNIVERSAL in SAP S/4HANA Finance? Maybe you’ve heard of “the Universal Journal” which is one of the most key innovations in SAP S/4HANA Finance. So you may be wondering what exactly makes the Universal Journal so Universal when compared to its predicessor code block in SAP’s ERP Financials and even earlier versions. I like to think of in terms of the “ity’s” – unity and versatility. Unity meaning it provides a single and universal view of the truth for all your transactions arne financial reports without needing inefficient and redundant reconcilliations. Versatility meaning is provides that universal key that opens the door to extend all your different reporting needs to one versatile coding block. For example, the Universal Journal enables you to run you legal, managerial and tax set of books based on the same set of underlying data and coding block at the same time. In doing so it provides the foundation for a single source of the truth you can be confident in without complex reconciliation when it comes to your data, reporting and analysis. In summary: The Universal Journal supports a better way to meet disclosure and compliance requirements while as the same time provides the flexible foundation to help companies deliver on their digital finance transformation ambitions. That’s why its Universal! Check out more of these type of cool innovations in SAP S/4HANA Finance here and let me know what you think!